"A Kosher and Happy Holiday"
Make a special glass for Elijah! Placemats, Paper Crafts, & Coloring Pages! There more then one way to use coloring pages! Construction paper! Cut out the pieces from the coloring page, place them on construction paper, and cut them out. Then, place them on a piece of construction paper, decorated paper, or oak tag, or other card stock type paper. Fabric pieces. Cut out the pieces from the coloring pages from fabric. You can place them on a larger, firmer piece of fabric, or on a piece of construction paper, decorated paper, or oak tag, or other card stock type paper. Tissue paper. Same as with fabric, or construction paper, use tissue paper to make beautiful pages. Place them on a piece of construction paper, decorated paper, or oak tag, or other card stock type paper. 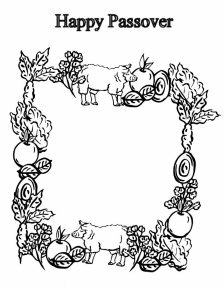 Computer Graphics program: Color these awesome pages with a computer graphics program. Turn them into placemats! Use any of the above techniques to create awesome placemats for your table! You can slip them into clear paper cover sheets, use clear contact paper, clear Mack-Tack, or a laminate machine (some stores have laminating services, and, for a fee, will laminate objects for you). Click on image to view full size. Right click FULL size image to save and / or print. Take a plastic, or glass, wine glass, and decorate it on the outside. This glass is to be decorated to be a special glass that will be used for Elijah's place setting. Below are ideas for how you can decorate your glass. Check with your local craft store for additional items and ideas! Torn pieces of tissue paper. You tear these for special effect. You want to use small pieces, like 1/4" to 1/2". Use Modge-Podge (or similar type item) to glue them to the glass, and to give it an coating. Use flat, or gloss, depending on the look you want. Don't leave gaps. Overlap gives extra special effect and fluency. Little gems. Buttons, sparkly gems, small rhinestones. Look around your house. Check at your local dollar store. Check at your local craft store. Glue them on with Modge-Podge (check the bottle, or a person at your local craft store, to be sure the Modge-Podge will work with the gems you've selected, and the glass you have.). Ribbon and/or fabric. Look for gold ribbon, or some other type of ribbon or fabric, that might add an extra special touch to the edge of the rim, and/or stem of the glass. Pieces of fabric flowers might also add a nice touch to your design. Stickers: Have some special stickers? Glue them on to the glass for a special design. Markers or Paints. There are special markers and/or paints that you can use to decorate the outside of the glass. Check with your local craft store on what markers and/or paints would be best, and how best to coat them. Look around your home, at local dollar stores, and at craft stores. You might, also, find some nice little trinkets you can use at your local religious store. It'll be a special glass, set aside, just for Elijah! For Passover, a special pillow is given to the Leader of the Seder. Some give pillows for all. 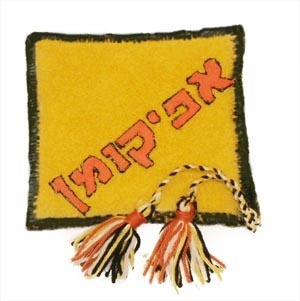 Whatever way your family celebrates Passover, make a special pillow! You can either make a pillow from scratch. Use either fabric from your home from an old blanket or pillow case, or buy some fabric. You can stuff it with some special pillow fluff from a craft or fabric store, or use extra rags and material around the home (washable) to stuff it. Or, you can use an old pillow in the home, or purchase an inexpensive one. Use the coloring page patterns, or some other pattern to decorate your pillows. Try using stamps with fabric paint. Pieces of fabric/material from various sources, or purchases. Gems, buttons, sparkly gems, small rhinestones, and other decorative pieces you can find at a dollar store, or craft store, or lying about your home. Sew them onto the pillow, or use fabric glue (be sure the glue will work for both fabric, and the item you are gluing). Trim the edges of the pillow with ribbon, or some other special material. What a beautiful keepsake this would be. Try using nice felt (or other material), with a nice faux satin lining. It can be sewn, or made with fabric glue. A typical size for the Matzah Cover would be approx. 16" x 16". A typical size for the Afikomen Bag would be approx. 12" x 8". Additional ribbon or decorative material may be used for trim. You can decorate the outside of your Afikomen and Matzah bag to match, or be different. Cut out felt letters, or images, to decorate the outside of the bag. Pattern for knitting Afikomen Bag. Letters in for "Afikomen" in Hebrew - good for stencil for making an Afikomen Bag. You can use modeling clay, home made flour clay, or any number of varous clay forms found in craft stores (preferably those that will dry for keepsakes). Sculpt tablets with colorful clay, then ngrave the key words of each commandment with a stylis, chopstick, end of a paintbrush, or some other object (be careful to use a SAFE object. Some sights recommend toothpicks. If you choose this, protect the end with something so the child cannot accidentally be stuck with it! Be VERY careful using such objects! 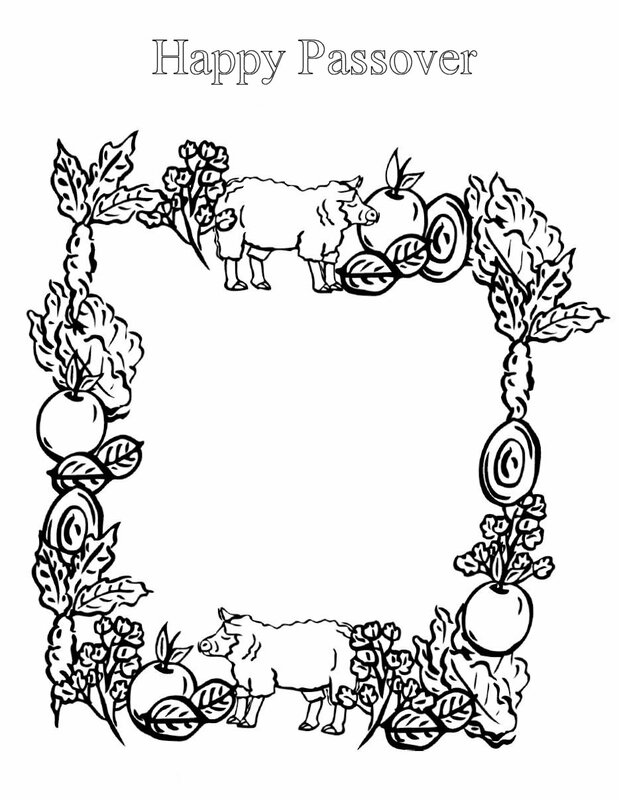 Use the coloring pages as designs to create Moses, the basket, and other objects for decorations. Use a shoebox, for the background. Paint it, color it, use fabric, whatever you like! 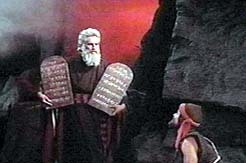 Create a scene from the Ten commandments. Coloring pages can be used for samples. You can use 2D designs (images from coloring pages, and use tape or some object to keep them standing upright. Marker, felt-tip pen, or pen. 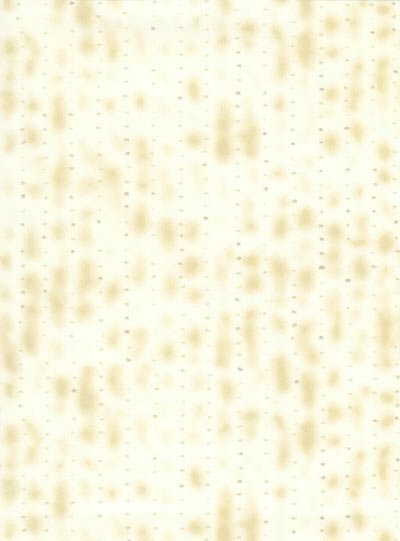 Tear off the edges of a white paper. Tear off all around the edges. (You want a tear effect. Do not use scissors). Crumple the paper into a ball. Crumple tightly..
Next, flatten out the paper and spread it on a cookie sheet or plate. Pour the cold tea / coffee over the paper. Spread it on the entire paper with your hands, or use a large spoon, to make sure no part is left out. Allow the tea or coffee to sit on the paper for about 5 minutes. Pour the coffee or tea off into the sink - or into a bowl if you want to save it for another sheet. Using the hand held blow dryer, paper for about 5 minutes on high speed. When it begins to dry a bit, it will begin to curl. Lower the heat, and continue to blow dry on low until dry. Write the Ten Commandments on the parchment. You can get this artwork laminated or framed and keep it in your living room for the Passover week. Laminate on a piece of stained wood with Modge-Podge. Gently roll into a scroll and tie with ribbon. For lighter paper, leave tea/coffee on for less time. For darker paper, leave on longer. Use either brown paper bag, or a roll of paper bag - type paper, to make the parchments (remember to tear off the edges). Print, or write the Ten Commandments, and cut them out. Let children try to organize them by priority. Discuss what each means, and review them by order in the Torah / Bible. Make your own fun memory game. Write each of the commandments on card-stock paper (or index cards). Make another set with card-stock (or index cards) with one card for a picture of each commandment. (Draw, cut out pictures from magazines or other sources. Another source is to find images online and print them out. If cutting out, glue them onto the cards). Turn all 20 cards upside down, and match the words to the pictures. 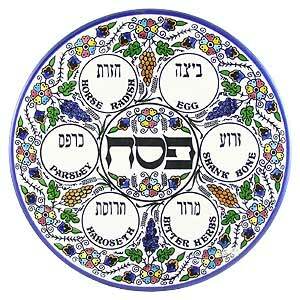 Some excellent sites to learn more about Passover!